Still to be emulated fully on any other mobile platform, Glance screen remains one of the most pleasant features of many Windows Phones. But all implementations are not equal - so which devices have it and what are the caveats? I colour code things below! Also, what about upcoming Windows-running phones? What does the future hold for Glance? Of course, you'll know I've been a fan of Glance screen for years. First on the Nokia 808 and then on various Windows Phones. The idea of having a true always-on time and date (and more), with negligible impact on battery life remains tremendously appealing. In 'AMOLED and the Glance night shift' I showed how Glance really needed AMOLED technology in order to be shown off to best effect. Here I reported on the addition of weather and fitness data to Glance screen. There was the revelation that Glance could work on LCD screens too - amazingly. The capability to display a 'glance-ified' version of a favourite photo - all the time. When in place and set up how you like it, Glance screen is a truly wonderful thing and I cannot believe, in 2015, that no other manufacturer has tried to copy the feature. Yes, there's some OS support needed, but the 'display memory' (i.e. extra small chips beside the screen) isn't proprietary, after all. Glance - the real deal, full-screen weather, photos, notifications, and more, with minimal battery drain and perfect visibility in all light conditions. Glance LCD - a savage compromise for LCD screens (see my piece here, for example), with the backlight maintained at low power in order to 'light' the Glance pixels used. The range of data and functions supported is the same though. Glance LCD Lite - for budget smartphones with less display memory, this cuts down on the amount of data that can be shown, typically to just time, date, and icons to show notifications, e.g. numbers of new SMS and email. Have I missed any? Note that I (obviously) haven't included Nokia devices prior to Windows Phone - so the Nokia N9, C7, N8, E7 and 808 PureView, among others... But we're basically looking at around a dozen Lumias, about half the total number of models and variants. And slightly worryingly, the five that have the full AMOLED Glance experience are all very old now. 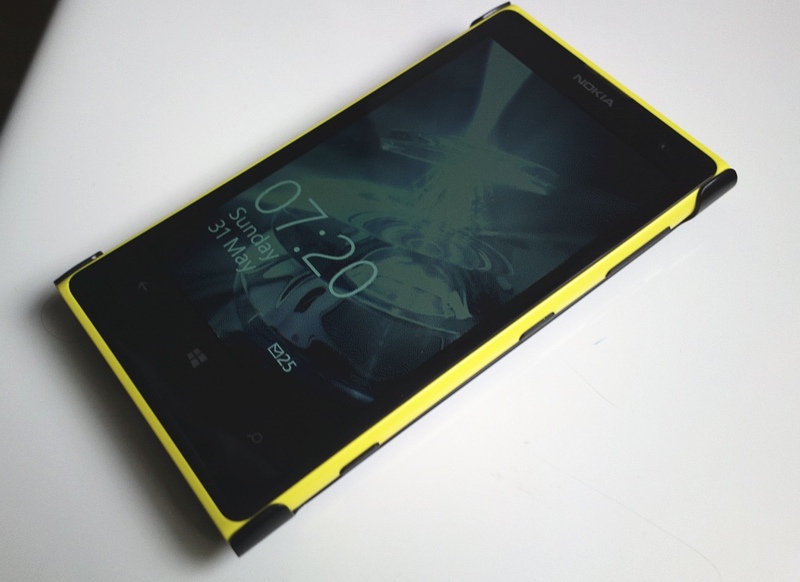 In fact, the newest with any decent Glance functionality is the Lumia 830, hampered rather at night. At night. 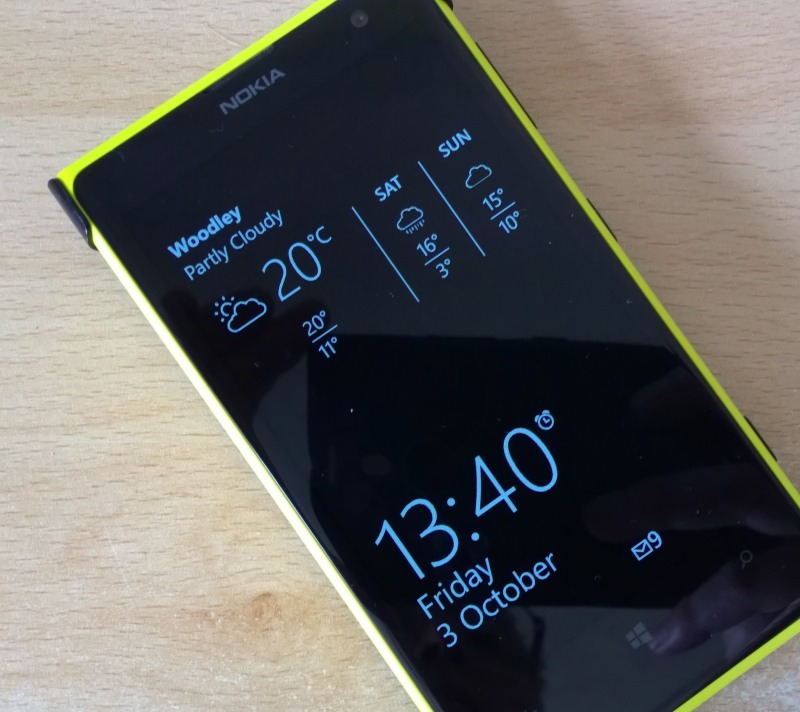 On the left hand side, you can just about see the 'Glance LCD' display on the Lumia 830. Just. There really is that huge a difference in brightness and visibility. On the flip side, I'll take it as a positive that the very latest Lumias, the 640 and 640 XL, both do have Glance (even in LCD 'Lite' form), so the concept hasn't gone away. In fact, I'm going to go out on a limb, following on from my predictions for the specs of the upcoming Lumia 940, that this new flagship (hopefully for announcement in a couple of months) will have not only a 1080p AMOLED screen, like the Lumia 930, but also 'display memory' so that we have the beautiful (and full) Glance experience once again, but this time on a cutting edge piece of hardware. The rumoured 5.2"-screened Lumia 940, here mocked up with Windows 10 - a 1080p screen is a given - let's hope Microsoft stays clear of going down the QHD route (though a 5.7"-screened Lumia 940 XL is also rumoured, so maybe that will have QHD after all?). And please let it/both have proper display memory this time. With AMOLED technology as well, this could be the best Glance experience yet! But what of lower end hardware? The 640 range has 'Glance Lite' and I wouldn't expect anything lower down the price spectrum to have the screens with display memory - even an extra few dollars on the build makes all the difference here. This is also true for the myriad of reference design models at the budget end from manufacturers other than Microsoft. An AMOLED-screened Lumia 740 is pretty much a shoe in for later this year too, and hopefully the absence of Glance in the 735 will have been rectified. 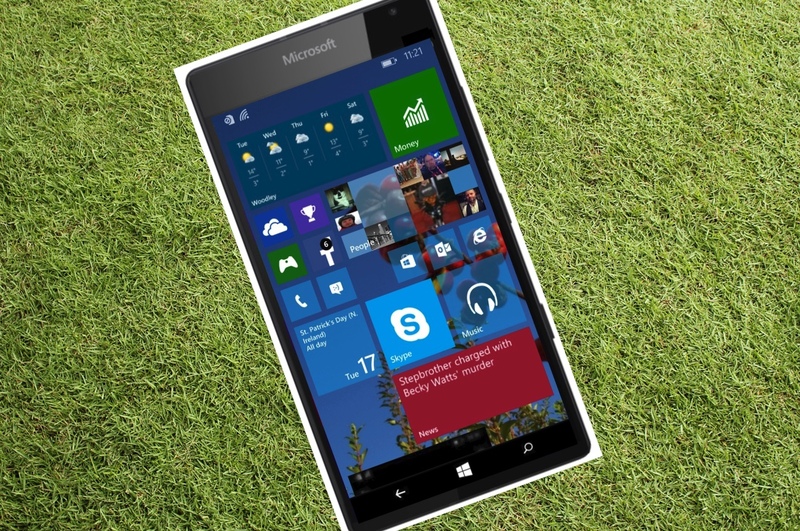 In fact, this could be the ultimate mid-range Windows Phone. We've also seen leaks of a 840 and 840 XL, both presumably with 'Glance LCD' again, but at least the feature is there. Comments welcome. Is Glance as important to you as it is to me?